FIND ACCOMODATION ON ISLAND OF MURTER! 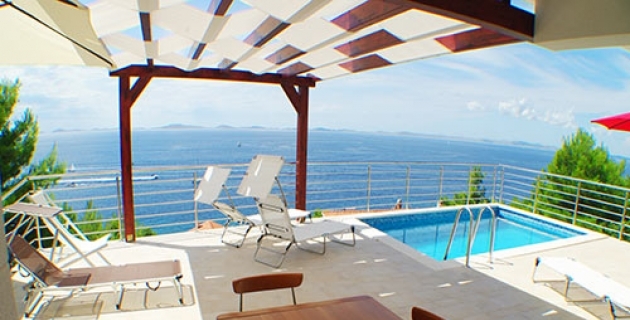 If you’re planning a vacation with your family or friends and planning to stay for an extended period of time in Island Murter, Croatia, PONUTS Travel vacation rental agency could be the perfect solution. We are offering high selection of fully-furnished apartment’s rental, rooms and hotels. Here you can check our accommodation offer. The Sanctuary of Our Lady of Caravaggio can also be found in Tisno. The Gelpi family who had arrived from Italy, venerating Our Lady, brought along the painting of Our Lady and around the year 1720 built a small chapel on the hill Brošćica, above Tisno, which can be reached by Karavajska street having climbed a total of 214 steps. These steps were once crossed by pilgrims on their knees to fulfil their vows!